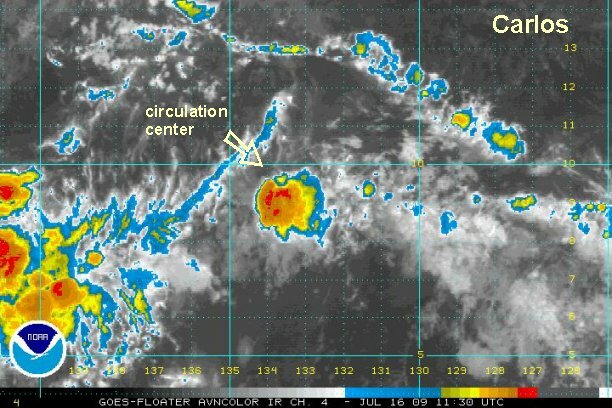 Carlos is centered near 9.8° N / 134.5° W or about 1850 miles southwest of Cabo San Lucas or 1520 miles southeast of Hilo, Hawaii. It is moving west at about 10 mph. There is a little convection on the east side of the circulation. Officially, it is a tropical depression.....finally! We'll keep an eye on it in case it flares up again, otherwise this is last update.